Wow! Vibrant looks that wash out easily. 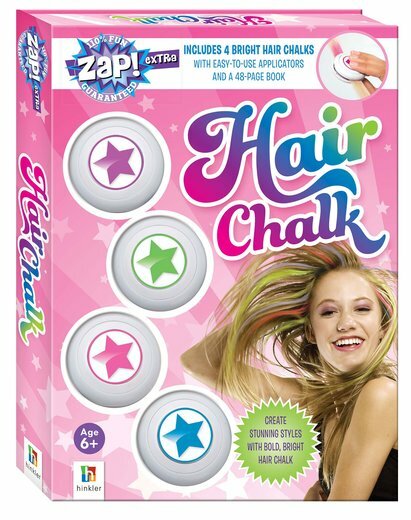 Hair chalk is all the rage. (And it won’t leave your mum in one.) Want funky hair that really turns heads, in colours that light up the day? Hair chalk is what you need. Amazing pop colour that rinses out in time for school. Everyone’s happy – even teachers and mums. This kit has four safety-tested chalks in bright candy colours, plus applicators and a book of tips and ideas. Life’s a rainbow – so wave goodbye to boring locks. Great hair. Great fun.